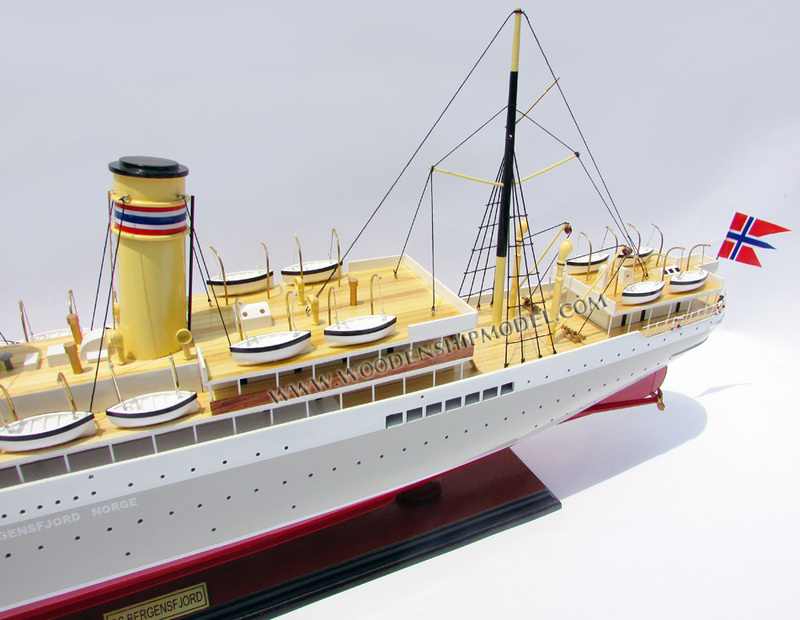 This model cruise ship is hand-crafted from wood with planks on frame construction and then painted with colors like the original real ship. Model is fully assembled and ready for display. SS Bergensfjord was a Norwegian ocean liner that sailed for the Norwegian America Line to the United States. During the Second World War she was requisitioned by the British Ministry of War Transport and used as a troop ship. After the war she continued sailing as a Trans-Atlantic passenger liner, first for South American owners, then for an Israeli company. Her service was quite a success as she was a well appointed ship with excellent Cabin (First) Class as well as Tourist Class Lounges and accommodations and comfortable Third Class facilities and cabins as well as dormitories being the common in those days. In November 1925 she was refitted to accommodate 367 Cabin Class and 572 Third Class passengers, thus becoming a two class ship. However that changed just two years later when in September 1927 she received yet another refit changing her capacity to just 90 Cabin Class, 155 Tourist and 500 Third Class. In 1932/33 it was decided to have her fitted with the more efficient two low-pressure steam turbines, and during the ship general refit her tonnage increased to 11,015 GRT. In January 1939 she received yet another refit to once again to carry just Cabin and Third Class only. She left Bergen for her final voyage to New York on April 7, 1940, just two days before the Germans invaded Norway. 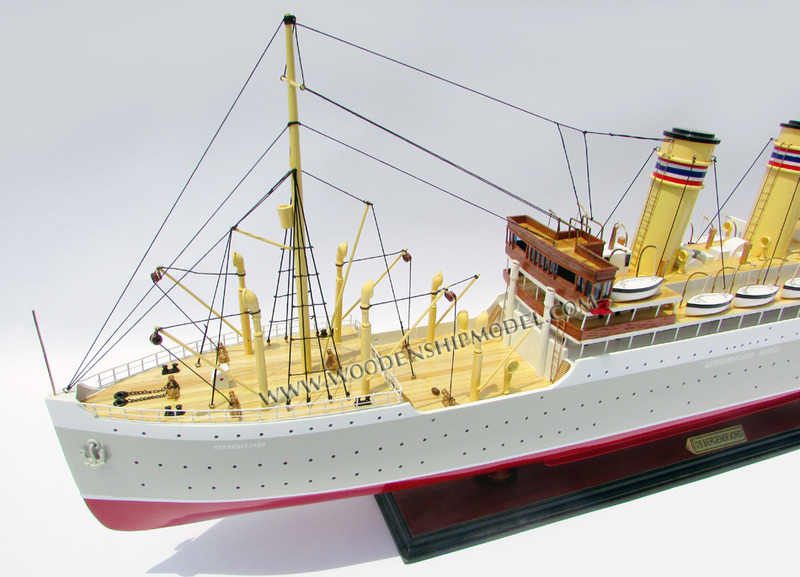 After arriving safely in New York, in December 1940, she was handed over to the British Ministry of War Transport and she soon commenced a career as a Troop Transport ship for the next five years. During her active duties, she carried around 165,000 troops, spending some 919 days at sea having sailed over 300,000 wartime miles. An excellent wartime career was had by her! After her wartime service had been completed she was returned to NAL in February 1946. NAL sold her in August the next year to Home Lines, who renamed her SS Argentina to be used on the emigrant route between Italy to South America. However, she was placed under the management, of Panamanian Lines Inc. On July 13, 1951 she commenced the Genoa to New York service. In 1952 she officially was transferred to Home Lines Inc. Her final Trans Atlantic voyage commenced December, 20, 1952. 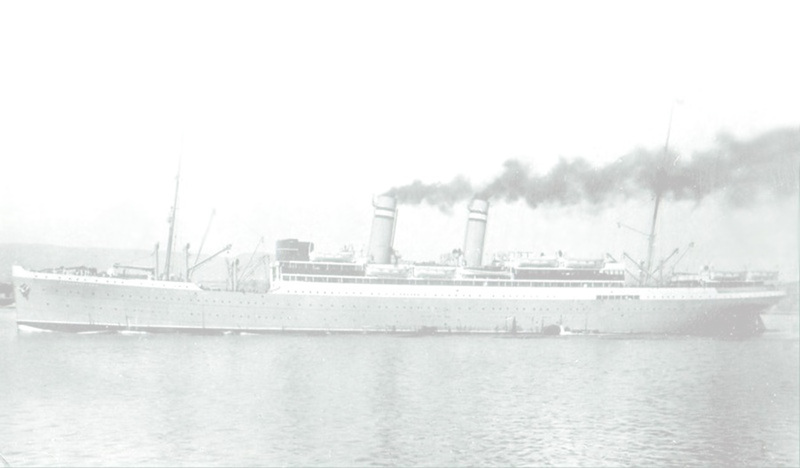 Upon her return to Italy, she was sold to ZIM Lines, who renamed her SS Jerusalem. After another refit she now accommodated 38 First Class and 741 Tourist Class passengers. She departed on her maiden voyage from Haifa to New York on April 4, 1953. Her itinerary was as follows: Haifa, Limassol, Malta, Cannes, Halifax and New York. SS Jerusalem crossed the ocean six times a year, as well as five special voyages on the Haifa, Naples and Marseilles.